MEDAH members: Only $15, even at the door! Want to add a meal ticket? Add one for $10 for the perfect accompaniment to the show! Meals should be pre-purchased by Thursday, May 2nd. MEDAH is proud to be hosting alternating Belly Dance Cafe events for 2019 in partnership with Sammie in Hawaii! Let's get RaQ-ing! 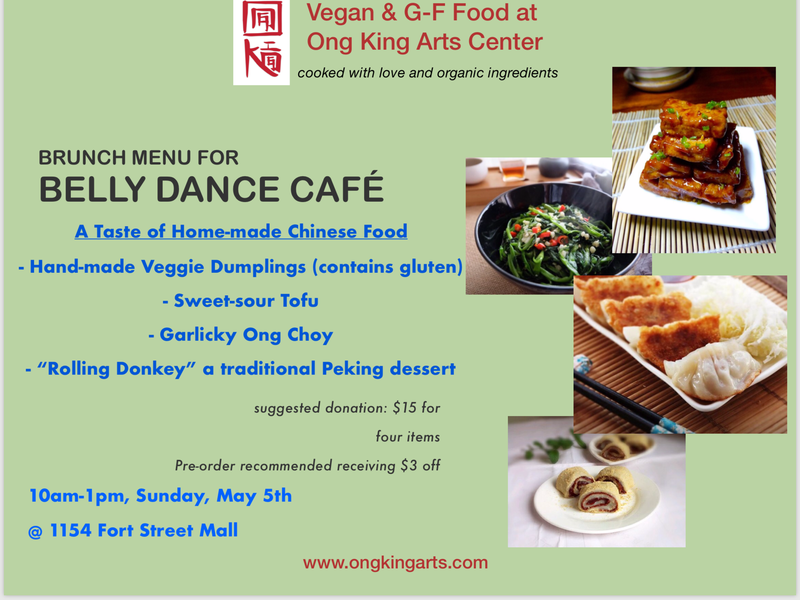 MEDAH is excited and proud to be hosting this monthly Belly Dance Cafe event in partnership with the one and only onG kinG aRts cenTer. 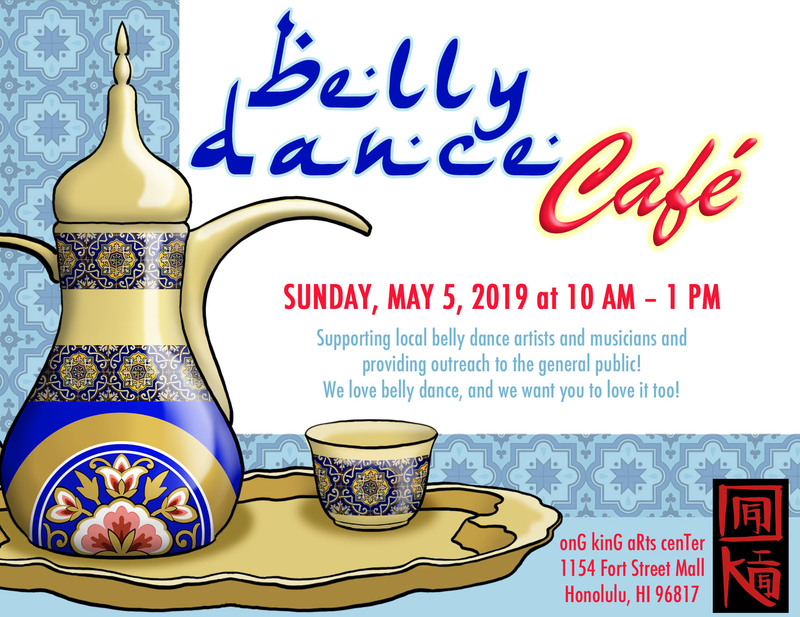 The mission of Belly Dance Cafe is to feature and support local belly dance artists, bringing them together as a dance community and providing outreach to the general public! We love belly dance and want you to love it too! Each month, a variety of our lovely and talented dancers take the stage to showcase the amazing art of Middle Eastern Dance in all of its formats! No restrictions are placed on style, as it is the VARIETY of belly dance in our community that makes the art form so wonderful and well loved. Stay tuned for performer announcements and menu! 10:00 - Doors open! Come in, have brunch or grab a coffee, meet and greet with the dancers, and relax! 10:30-10:45 - Mini-lesson in belly dance by one of our featured performers! Get up and shimmy your cares away! 11:00-11:30 - Show Set 1 - Check out some of our amazing performers! 11:45-12:15 - Show Set 2 - Can't get enough? Our dancers can't either! Check out part II of our awesome lineup! After the show, stick around to chat and shimmy with our dancers as we close out our event! For more information, follow this event on Facebook. A small service charge is added to all online purchases. You may purchase more than one ticket after you are transferred to Paypal's secure payment site. Keep up with news in our community, receive discounts at MEDAH events, and support the hardworking efforts of our volunteers! Just want to keep up with the latest news from our Belly Dance Community? Subscribe to our mailing list!